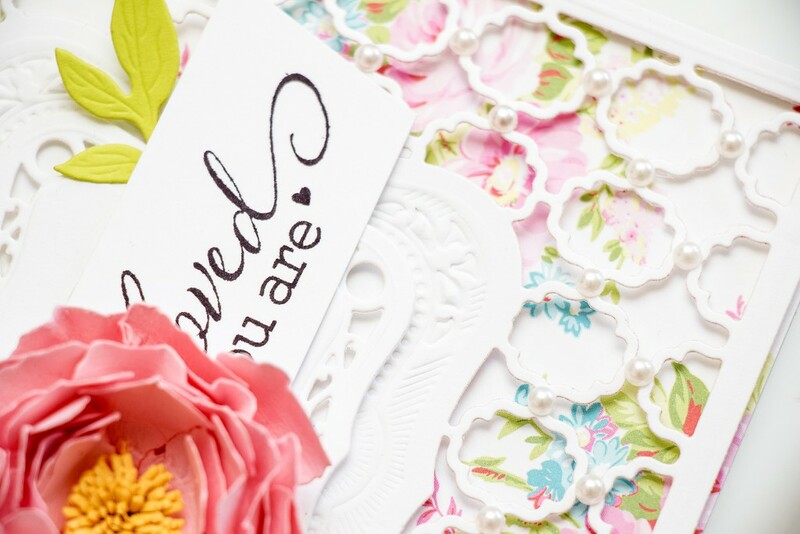 I love to create cards using dies from Spellbinders. 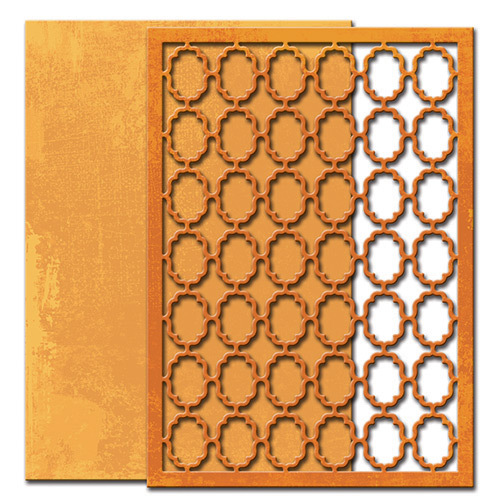 Be it a stylish Clean & Simple card or an elegant heavily layered card, I can’t seem to not use Spellbinders dies. Today I’d like to talk a bit about Spellbinders Card Creator line, the Labels One 6×6 Card Front set in particular as well as various matching Labels One die sets. This project was created using Labels One Card Front die in combination with Labels One dies as well as Gold Labels One and Majestic Labels One. 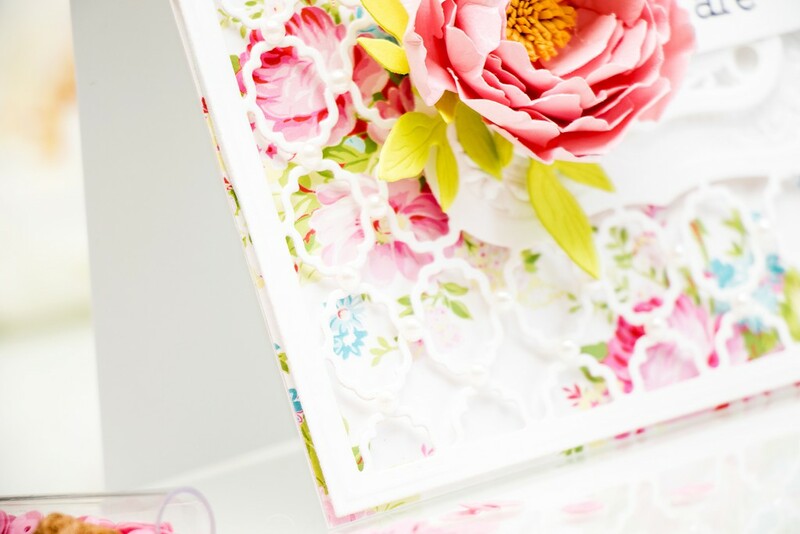 The beauty of Spellbinders dies is that a lot of the sets can be mixed and matched. Take Labels One for example. If you search for this set on the Spellbinders website you will get of lot of results. A lot of dies, that have the same Labels One shape, but either a beautiful decorative edge or the capability to “dress up” the existing shape (like Gold Labels One). By mixing and matching those sets one can have endless options! Now lets get back to the card, at the beginning of my video I also shared two more die sets, both from card creator line which are perfect for standard size cards. Now I know that “standard” size cards are actually different in every country, so here’s a little chart I made to show the difference in size. 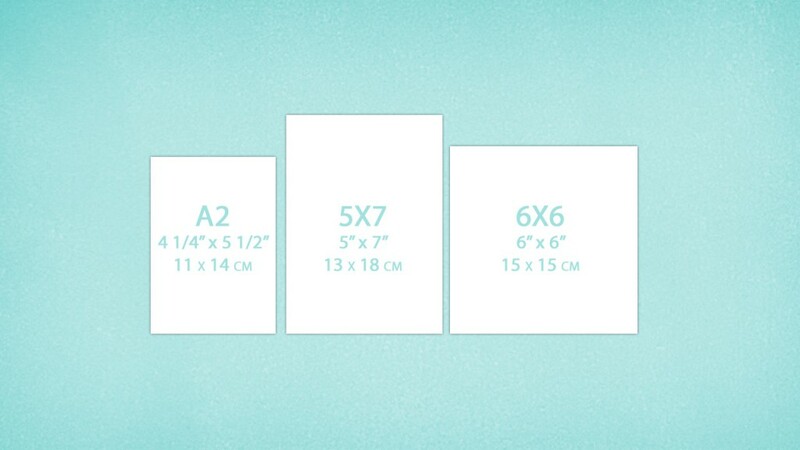 I’ve included measurements in inches as well as approximate measurements in centimeters. 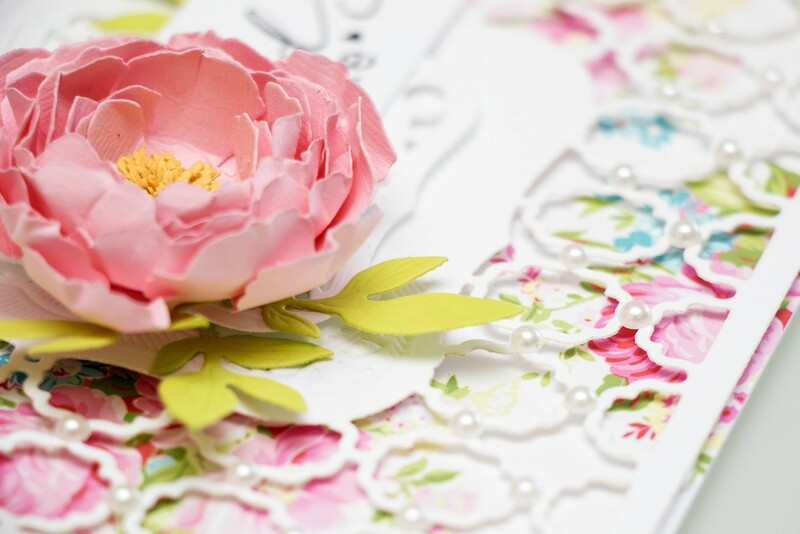 This project also features a simple hand made flower created using Peony die. 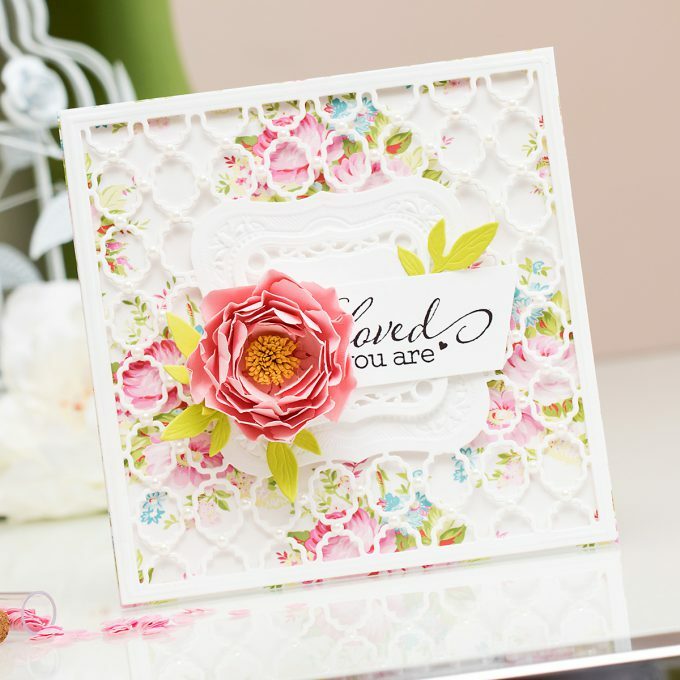 I made this one using Spellbinders cardstock; click HERE to see a video tutorial for this flower. 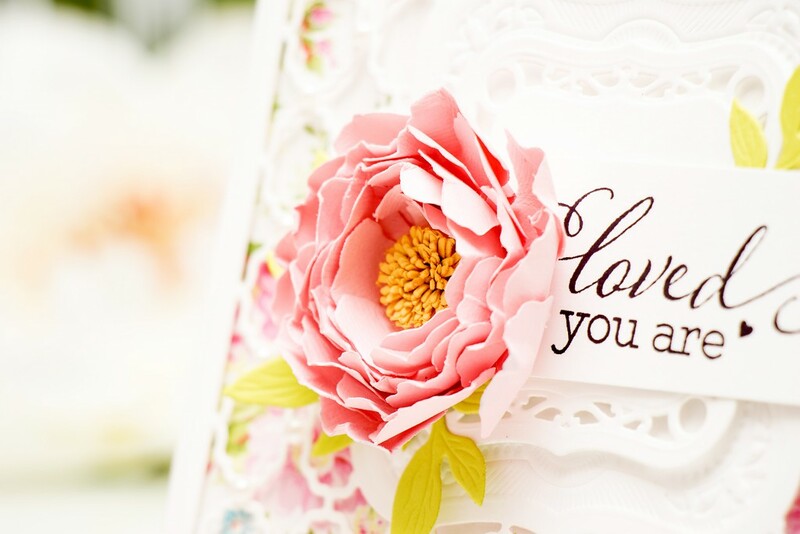 I used a simple You Are Loved sentiment from Hero Arts and stamped it in black ink onto a strip of white cardstock. I also die cut a few leaves out of green card and added those to my project. 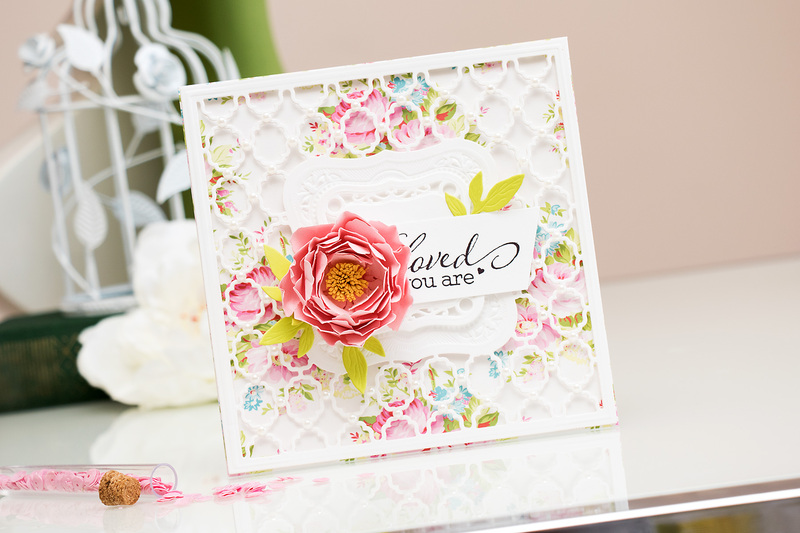 Not a single pre-made embellishment was used for this project other than a few white peals. Oh. My. Gosh. This is so beautiful Yana, I am speechless! 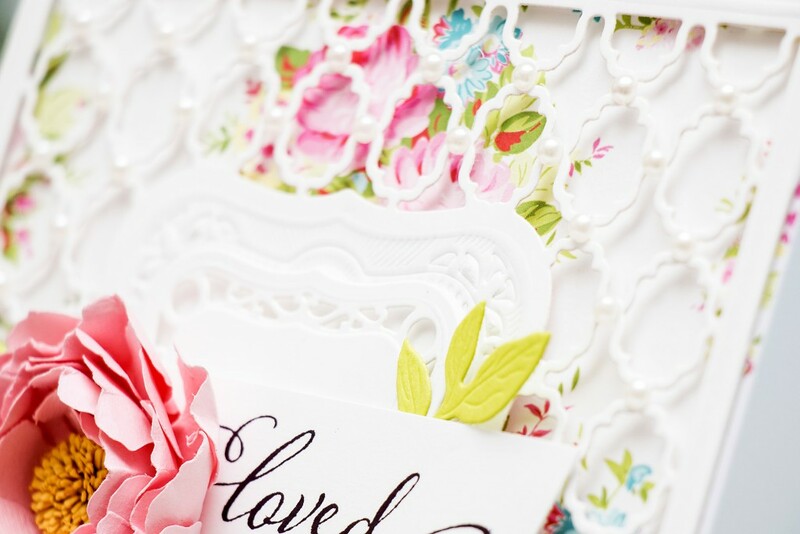 I love the delicate look of this card, so very pretty and soft. Oh I love this! I’m a big Spellbinders fan and use a lots of them on my cards. Thanks so much for sharing your creation and the supplies list.